Director & Editor Julius Ramsay on Directing and Editing "The Walking Dead"
Director Julius Ramsay on his experiences directing and editing "The Walking Dead." Recorded at "Sight, Sound & Story" on June 10, 2017. Julius Ramsay is an Emmy-nominated editor and director who has worked on some of the most popular shows on television. He began his career as an editor on documentary series, such as VH1's Behind the Music and ESPN's "SportsCentury." He moved on to such blockbuster reality shows as "American Idol," "The Bachelor" and its spin-off "The Bachelorette." In 2006, he began editing episodic dramas, such as "Alias," "Battlestar Galactica" and "FlashForward." From 2010 to 2015, he edited 23 episodes of The "Walking Dead," the highest rated drama in the history of cable television. His work as an editor has earned him three Emmy nominations, once for "The Contender" and twice for "Battlestar Galactica" ("He That Believeth in Me" and "Daybreak, Part 2”). Mr. Ramsay began directing episodes of "The Walking Dead" in 2014. His directorial debut in Season Four (‘Still’) was voted the season’s fan favorite; his Season Five episode (‘Them’) aired in 2015. He has also directed such popular series as MTV's "Scream" and Cinemax's "Outcast." In 2017, Mr. Ramsay made his film directorial debut with the feature film "Midnighters," a noir thriller set on New Year's Eve that will screen at film festivals later this year. 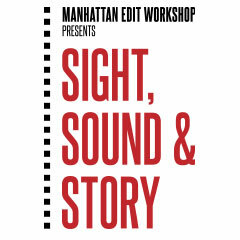 "Sight Sound and Story" is an annual event presented by Manhattan Edit Workshop that brings audiences "behind the scenes" with legends of visual storytelling. 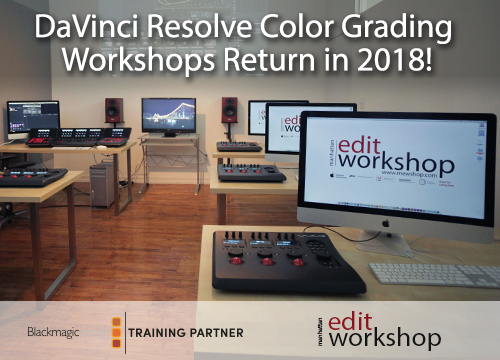 Each year the one day summit brings together a collection of diverse and intriguing high-profile speaker series to discuss the evolving world of post-production. Panels topics have included the art and processes of editing film & television, exploring ground-breaking interactive media, the fast pace of cutting sports television, getting the real from reality television, experiencing the magic of feature sound design, taking a look at the vital roles of the VFX artist, and deconstructing key scenes from fiction and documentary favorites. Allyson C. Johnson’s Feature Film work includes: Mira Nair’s “Amelia,” ”The Namesake,” “Vanity Fair” and “Monsoon Wedding” which received the Golden Lion for Best Film at the 2001 Venice Film. Her television work includes NBC’s “Smash” and “The Slap,’ “The Wire,” “Quantico” and “Marco Polo” for Netflix. She is currently editing Baz Luhrmann’s series “The Get Down” for Netflix. Johnson received an Emmy Nomination editing the documentary “The Who’s Tommy: The Amazing Journey.” Other rockumentaries include “Up From the Underground” (Quincy Jones), "Say It Loud" (VH-1) and her Triptych short film “Kick Out the Jams” appeared at the opening of the Rock and Roll Hall of Fame Museum. She has also collaborated with such filmmakers as Spike Lee and Griffin Dunne and Bill Moyers.